No matter where you wear the Descente Gianna Insulated Ski Jacket with Real Fur this winter, you’ll look like you just came straight from the slopes of Switzerland with this jacket’s European-inspired elements. Sleek lines, vertical arm stripes, and a plush fur hood detail look haute as can be. Fortunately, the race-inspired look also has plenty of features for when you’re not racing the clock, like a 20K waterproofing rating and 100g of non-bulky, lightweight Thinsulate™ insulation. The Descente Gianna Insulated Ski Jacket with Real Fur from Descente offers Metaluxe zippers, glitter tape detailing, and a removable raccoon fur hood detail. "Does this have any Velcro? " 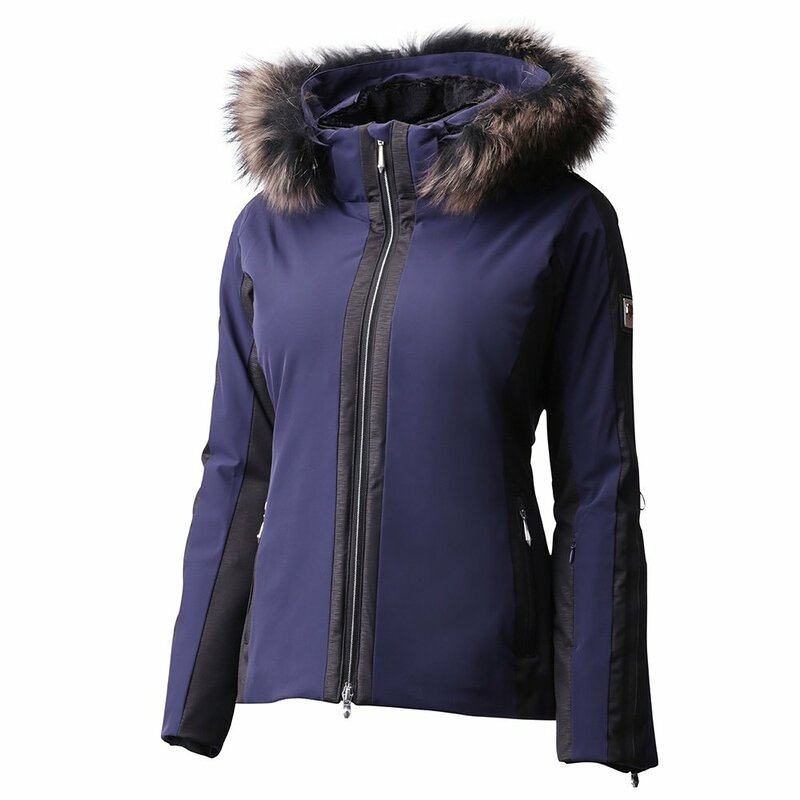 "All closures on the "Descente Gianni Insulated Ski jacket with Real Fur" are zippered. We hope this answer helps with your shopping selection here at Peter Glenn Ski & Sports." "What are recommendations for washing Descente jacket ?" "Thank you for contacting us. To maintain the best quality of your Descente jacket, please follow the care instructions on the care label attached to the inside of the garment. Before washing, zip up and close all zippers. If the jacket has a removable hood, unzip it, and wash it separately with the jacket. Snap-closed, all buttons must be fastened down prior to cleaning. Do not wash the fur. Do not bleach, twist /wring, or tumble dry. This garment must be line dried in a shaded area. Do not iron or dry clean. We hope this information helps! "